After studying in Paris, we decided to settle in a city in western France. Professional opportunities in Le Mans made us choose Sarthe. 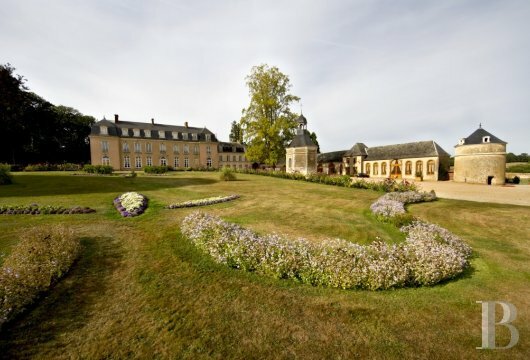 We then discovered Groirie, a good ten years ago now, and it was a love at first sight. It transformed into a family adventure that we are still thrilled to be on. 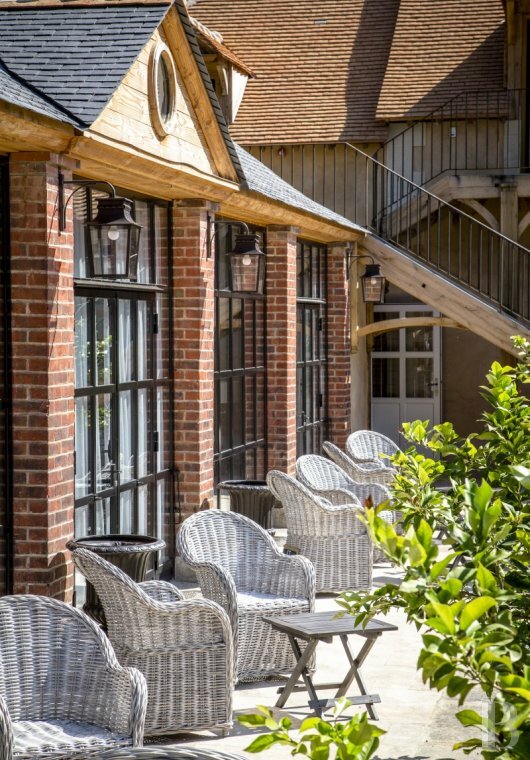 Our project was to revive a forgotten beauty surrounded by a park of one hundred hectares, just two kilometres from Le Mans! 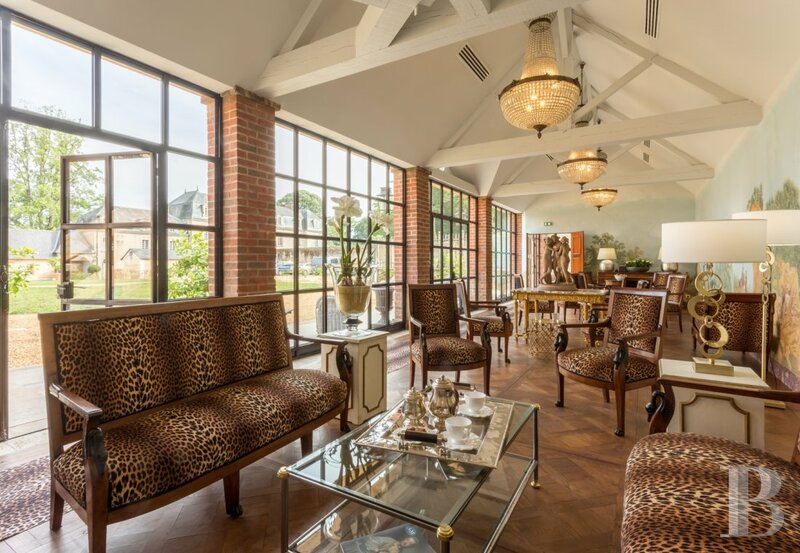 In the heart of a one hundred hectare park, the Groirie estate is a soothing yet exotic place. One can stroll through the grounds, admire the collection of roses, visit the large outbuildings and even work in the completely renovated spaces equipped with quality materials for seminars, study days, incentives, corporate events, meetings, cocktail evenings, dinners, galas and informal meetings ... As of a few months ago, guests can also stay over night and escape the whirlwind of life for a moment. 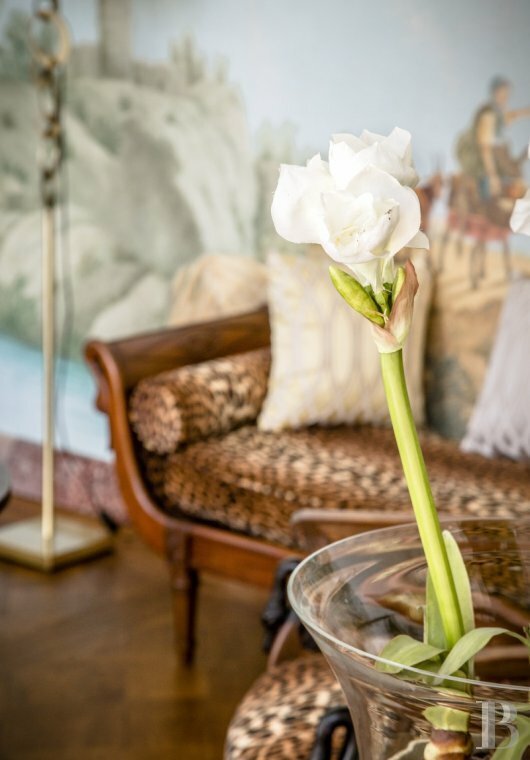 The authentic, elegant and refined rooms at Domaine de la Groirie were all renovated in 2017. 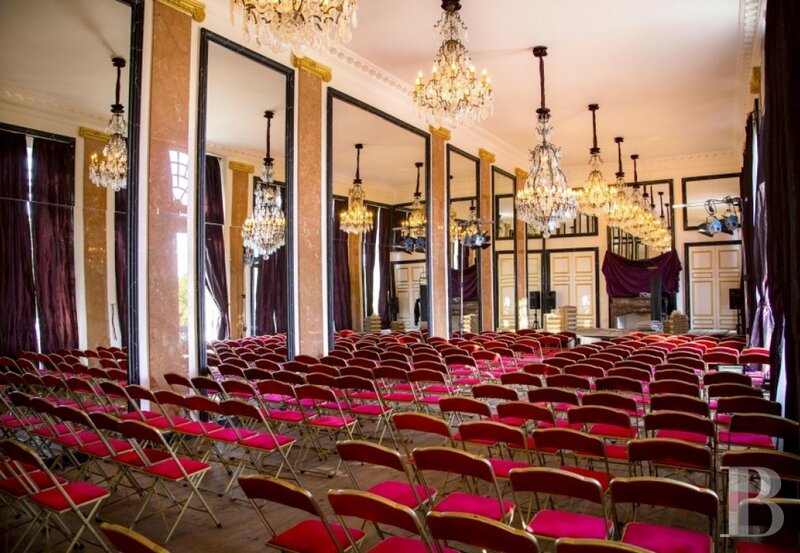 The location is also ideal because of its immediate proximity to the city of Le Mans and several motorway exits, whether you are coming from Paris, Nantes, Rennes, Tours, Caen, Rouen or elsewhere. 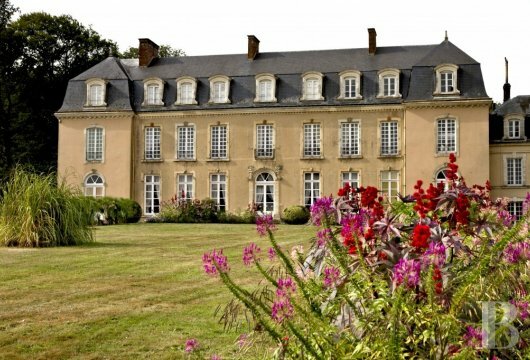 Groirie is a "little country chateau" that was built in the 17th century by Monsieur de La Rivière, a Parisian financier from Sarthe. It features a pond, a large canal, terraced gardens, and a facade with terracotta mascarons which are still visible today. In the 18th century, Groirie was modernised by the Marquis de Samson. He added a Mansard roof, pavilions, an orangery (which sheltered nearly sixty orange trees), and a chapel which, uniquely, is both octagonal and round. 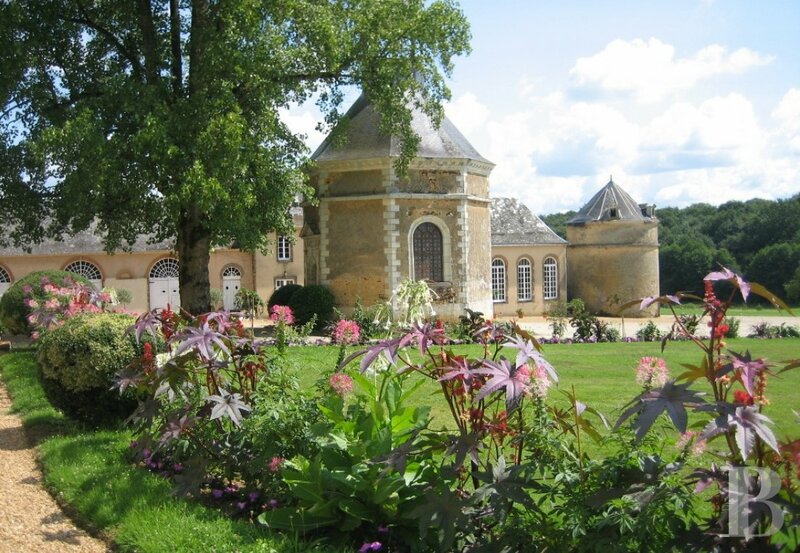 The chateau and its outbuildings have been listed as historical monuments since 1974. There are so many to choose from and so much to discover nearby. Car enthusiasts can visit the 24 Hour museum in Le Mans and its legendary circuit where you can learn to ride cars. History buffs can explore the Plantagenet city surrounded by Gallo-Roman walls which has been a location for many films. Others might prefer strolling through the market of Le Mans (which Jean-Pierre Coffe considered the most beautiful in France), trying the cuisine in the Michelin-starred restaurant, playing golf, or exploring the world of gardens including the collection of peonies at the castle of Sourches, the extraordinary kitchen garden of Villaines and the recreation of the gardens of Mirail. Horse lovers will enjoy the European pole of horseriding and the riding competition of Sourches. 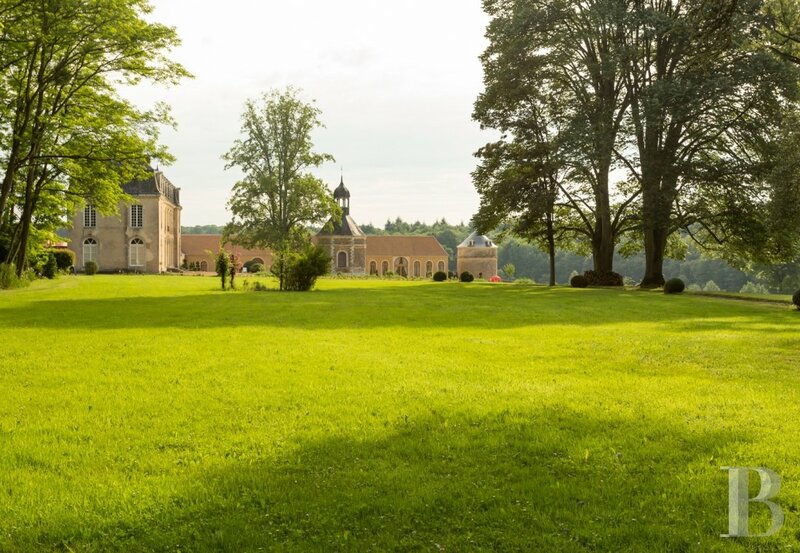 The Groirie has not seen many great historical achievements (we prefer to forget General Westermann's short stay here, nicknamed "the butcher of the Revolution"). 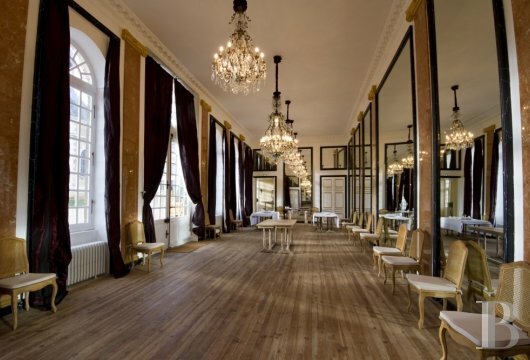 Instead, it has had a series of discreet owners who have all shown great affection for the chateau over the centuries. 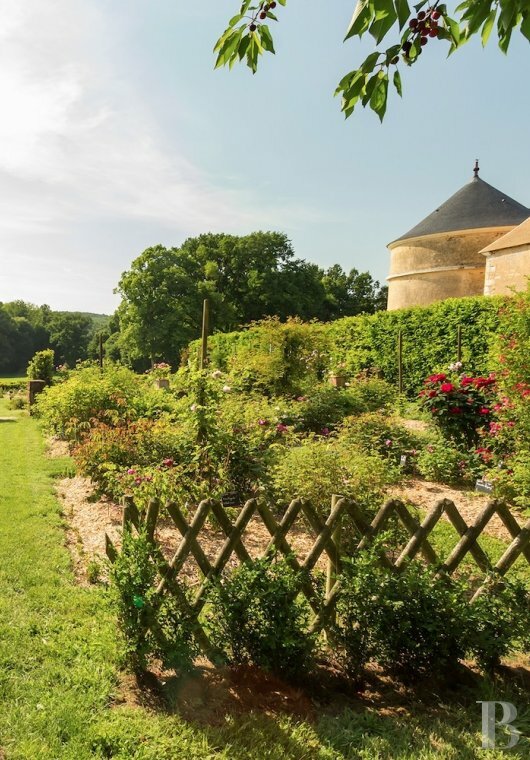 We thank Monsieur de la Riviere and his children, the Samson dynasty of Lorchère, and Faustine and her husband, the Chevalier Enlard of Grandval, who knew how to make the chateau beautiful and maintain it! 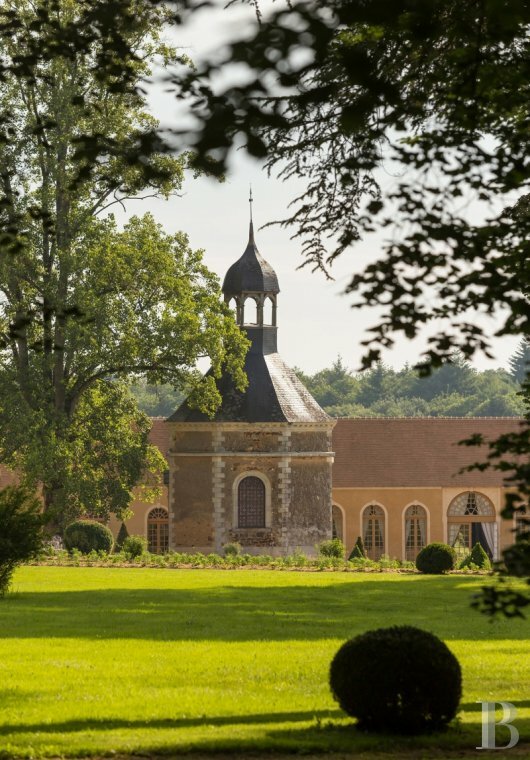 Passing through the gates of Château de la Groirie is like stepping into another world. Leaving the hustle and bustle of the city brings space, calm, light and greenery to the senses. 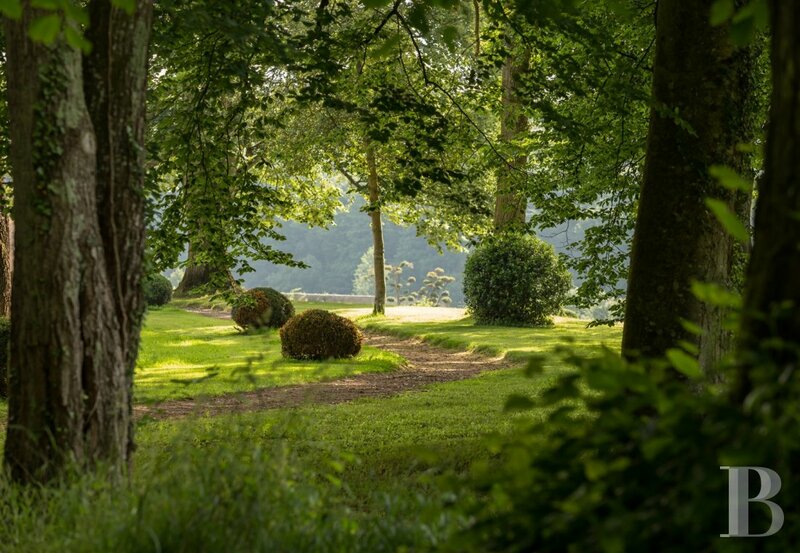 At a glance, the immensity of the park is already visible and the bridle paths, groves, trees, lawns, flower beds and water features create a most romantic image. 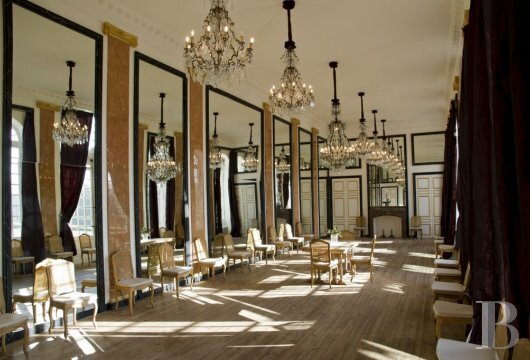 The chateau (designed as a charming mansion) is a fine example of 18th century architecture. The decorative elements of the facade (terracotta mascarons and wrought iron balconies) along with the interior (Rococo style) demonstrate a sense of refinement that has fortunately not been altered over time. The current owners have invested a lot of time into expanding on the work of their predecessors. 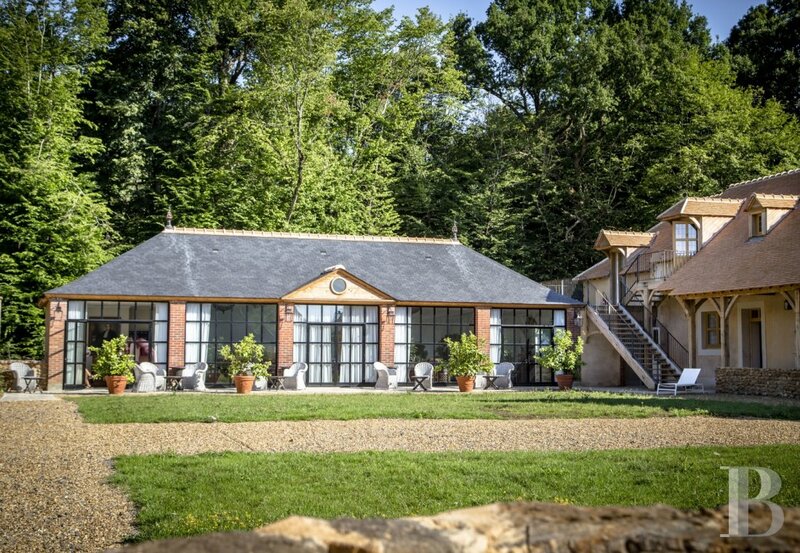 This gem of Sarthe, so close to Le Mans and yet so wonderfully protected, will dazzle guests from all walks of life.